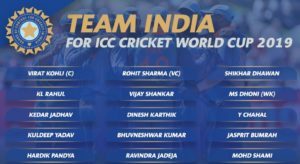 Wait is over for all Indian cricket team fans as BBCI has finally announced 15-man India Team Squad for Cricket World Cup 2019. 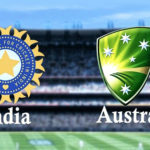 The Governing body of India cricket team BCCI has called a selection committee meeting earlier this day in Mumbai and declares the India Team Squad that will official appear in ICC Cricket World Cup 2019. 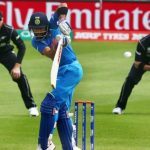 According to reports, the experienced and most successful ODI skipper of India Virat Kohli will lead India in ICC Cricket World Cup 2019 whereas their opening combination has also remained unchanged as Rohit Sharma and Shikhar Dhawan will appear in this team as main stream batsmen. No doubt R Sharma and S Dhawan are most trust-worth batsmen of this team and their performance in recent ICC Champions Trophy was quite impressive that definitely insist BCCI to pick them again for upcoming Cricket World Cup 2019. 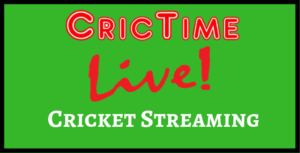 The mega cricket event ICC Cricket World Cup 2019 is just few moments away from its official inauguration as this tournament will kick off from 30th May 2019 and ran until 14th July 2019. Almost all International Cricket Boards are busy in filtering their playing squad for this event and BCCI in this scenario remained one foot ahead. The 15-man India Team Squad for World Cup 2019 is given below. 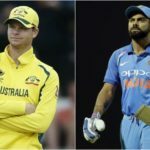 India Cricket team looks pretty strong and balanced in 1st look as Rohit Sharma and Shikhar Dhawan are once again come forward to rescue their team in World Cup 2019 as most reliable opening pair while the middle order batting unit of this team highly depends on their energetic skipper Virat Kholi. 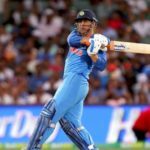 The other highlighting batsmen of India include experienced MS Dhoni along with Vijay Shankar and Kedar Yadav. MS Dhoni will also perform his duties behind stumps as he is expert for. Surprisingly BCCI has selected three main stream pace bowlers in their squad for World Cup 2019. 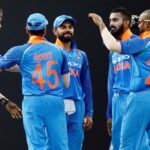 Indian cricket team pace bowling attack highly depends on Jasprit Bhumrah alongside with Bhuvenshwar Kumar and Muhammad Shami. No doubt all these bowlers are well experienced and already proved themselves during ICC Champions Trophy.